Who made this car? When was it built? And who was the idiot who tried to paint it? Well, sadly, I can only answer one of those questions. 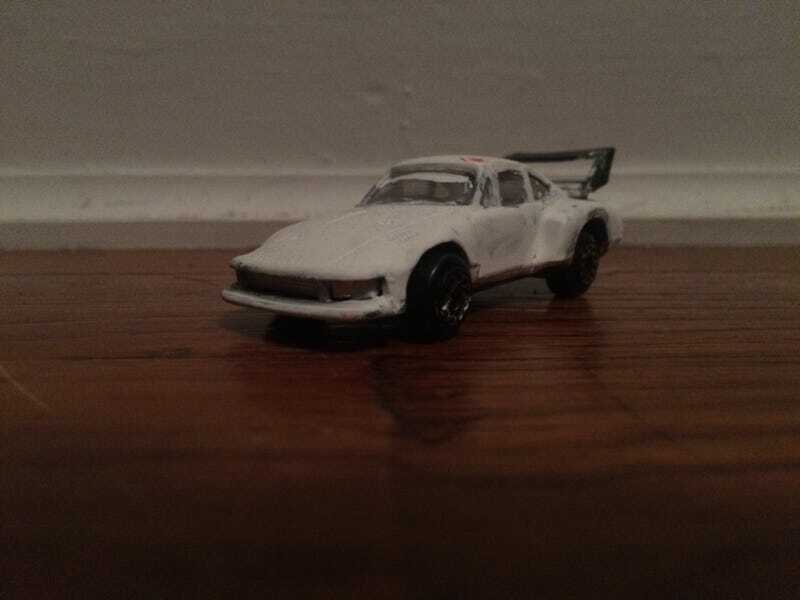 Before I knew of LaLD, I had found this Porsche 935 sitting around, it’s cheap silver paint job annoying me as I thought of glorious Martini racetrack weapons. So, I painted it white, and subsequently forgot about the car. Now I’ve found it, and there’s just one problem. There is not one single identification on this car. The bottom reads “MADE IN CHINA,” and a mysterious but useless “D55.” It’s a shame really, but overall, aside from the shoddy construction and quality, it’s mystery inflates it’s uniqueness in the cars I have. But, it's still a good and fairly detailed depiction of one of the greatest race cars in Porsche history.